Through lectures and hands-on field and laboratory exercises, Tetracam's multi-spectral imaging classes deliver in-depth training on the use of our multi-spectral cameras, software and ancillary equipment. Each of our classes is conducted by one or more professionals who are actively involved in the application of multi-spectral systems in specific areas of science and industry. We offer both, scheduled classes and classes adapted to meet specific implementation needs. Please contact us to enroll in currently scheduled classes, obtain information on future classes, or to find out about classes tailored to your specific needs..
Our repair center in Chatsworth, CA services all warranty and out of warranty repair activities. Please note that any equipment returned for repair will require an RMA (Return Merchandise Authorization) number for tracking purposes. Tetracam imaging systems carry a one year parts and labor warranty. Out of warranty repairs are quoted on a case by case basis and an evaluation will be completed prior to any repair work being performed. For quotes or information regarding repairs or to obtain an RMA, please contact us. 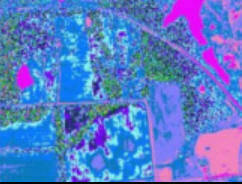 In order for aerial multi-spectral images to be precisely geo-referenced to the areas they represent, it is sometimes helpful to have images geometrically-adjusted for distortions introduced by the camera. To address this, Tetracam offers a comprehensive Camera Calibration Service in which numerical estimates of camera interior orientation represented by focal length, location of the principal point, sensor parameters, and coefficients of lens distortions are identified. During production of ortho-rectified image mosaics, geo-referencing software may use these parameters to produce mosaics with high positional precision. 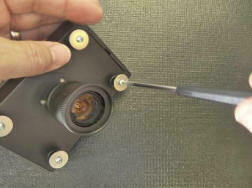 Tetracam's Camera Calibration Service is available during camera manufacture. For information on this service, please contact us. Tetracam uses the Altium family of design tools to prepare schematics of new circuits and simulate them. We are also able to produce FPGA designs of modest complexity using Xylinx and Vantis tools. We can provide our clients with complete documentation and working prototypes for new designs. Tetracam circuit board designers use Protel for Windows, Altium Layout and Pads software as needed to execute a client's design. We can accept Altium schematic or net list input for interconnection definition. We deliver a printed circuit design file, Gerber artworks, and custom component libraries as needed to allow procurement of the completed board. For quotes or information on Custom Electronics and Printed Circuit Design Work, please contact us. Tetracam can perform all aspects of camera mechanical and package design from initial concept through final production. Designs are solid modeled and prototyped. All drawings and documentation needed to launch production are produced.Rapid prototypes are produced when required, usually within 48 hours. For quotes or information on Custom Mechanical Design Work, please contact us. 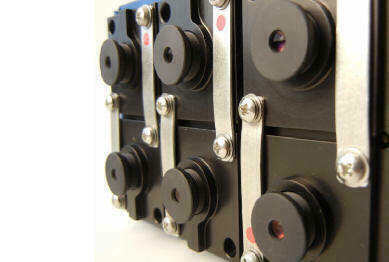 Tetracam can perform all aspects of camera mechanical and package design from initial concept through final production. Designs are solid modeled and prototyped. All drawings and documentation needed to launch production are produced. Rapid prototypes are produced when required, usually within 48 hours. For quotes or information on Custom Optical Systems Design Work, please contact us. Tetracam is a licensed Microsoft developer using Microsoft Visual Studio, and Windows Software Development Kits (SDKs) and Device Driver Development Kits. (DDKs). We have implemented USB, Parallel Port, and Serial Port drivers for a variety of devices, as well as Image Processing application programs and TWAIN drivers for digital camera products. For quotes or information on Custom MS Windows Application Development, please contact us. Tetracam has the tools and experience to develop embedded software for the ARM processor . and the Texas Instruments family of Digital Signal Processors. We are able to maintain and create programs in assembly and C for systems based on these devices. For quotes or information on Custom Embedded Processor Firmware Development, please contact us. 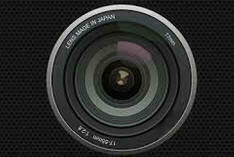 Tetracam provides clients with manufacturing engineering services for digital camera production lines. We can develop process controls, test equipment, and detailed assembly methods that will allow a client to rapidly achieve a competitive production cost for a new design. We can assist you in acquiring molds and other tooling. For quotes or information on Custom Manufacturing Services, please contact us. In order to rent a system from Tetracam, simply call our California office at 818-288-4489 and let us know that you are interested in renting a system. If necessary, we will help you determine the most appropriate system, software and accessories to meet your needs. We will then email or fax you an invoice that contains a copy of our rental policy which is shown at the bottom of this page. Once you have returned this signed invoice with your deposit, we will ship your system to you or reserve it for the dates you require. When your system arrives, you will find everything that you need. All systems come with batteries, hard-side carrying cases, manuals, software (if needed) and other appropriate accessories. To return the system, simply repack it in the container that it arrived in and ship it back to us. We have a number of rental programs that are described below. Note: All rental programs are applicable to domestic customers only and may be terminated at any time. International customers should check with their local reseller for questions on rental programs in their area. The following equipment models are available for rental purposes. Minimum rental period is seven days when shipped to destinations inside the U.S.
Any other filter must be purchased by the user and will be quoted at the time of order. If the rental unit or any other Tetracam imaging system is purchased within a six-month period following the time that a unit is rented, the rental fee that was paid by the purchaser (up to one month's rent) will be credited towards the purchase. In essence, this allows you to try out the equipment you need prior to purchasing it. Here is our policy regarding rental units. Rental Period: Your rental period begins one day after we ship the system to you and ends on the day that we receive the system back. Renter's Location: Systems may only be rented for use and shipped to locations in the contiguous forty-eight States in the USA. Deposit: In order to rent any system, you must provide us with a current credit card or possess an approved customer account with us. Your credit card or account will not be charged unless your equipment is not returned in the same condition that you received it. Shipping: You are responsible for all charges for the shipment of equipment including charges for insurance from and to Tetracam. Damage and Loss: Equipment must be returned undamaged and in the same condition as you received it. Any repairs, replacement costs, parts or clean up resulting from damaged, lost or stolen rental items are the sole responsibility of the renter. Insurance coverage is the responsibility of the renter. The cost of repair for user caused malfunctions will be billed to the renter. The cause of malfunction will be determined by our repair facility. All replacement items will be charged at list price. You are responsible for providing your own insurance for rental equipment. Data: Customer data stored on Rentals will be securely erased by Tetracam before the Equipment is re-entered into the program for future loan or rental. Tetracam is not responsible for any data it erases following return of the Equipment. Compliance with Applicable Laws and Regulations: You are solely responsible for compliance with all laws and regulations regarding use of equipment you rent from the time that the equipment leaves Tetracam until it is returned.